Barb is honored to have licensed her watercolor images to a host of wonderful companies for products ranging from home decor, giftware, fabric, tabletop, and paper goods. A few of these great Licensing Partners include: Certified International, Clothworks, Henry Glass Fabrics, Current, Evergreen Enterprises, RAZ, Creative Converting, LPG Greetings, Dimensions, and Leanin' Tree. 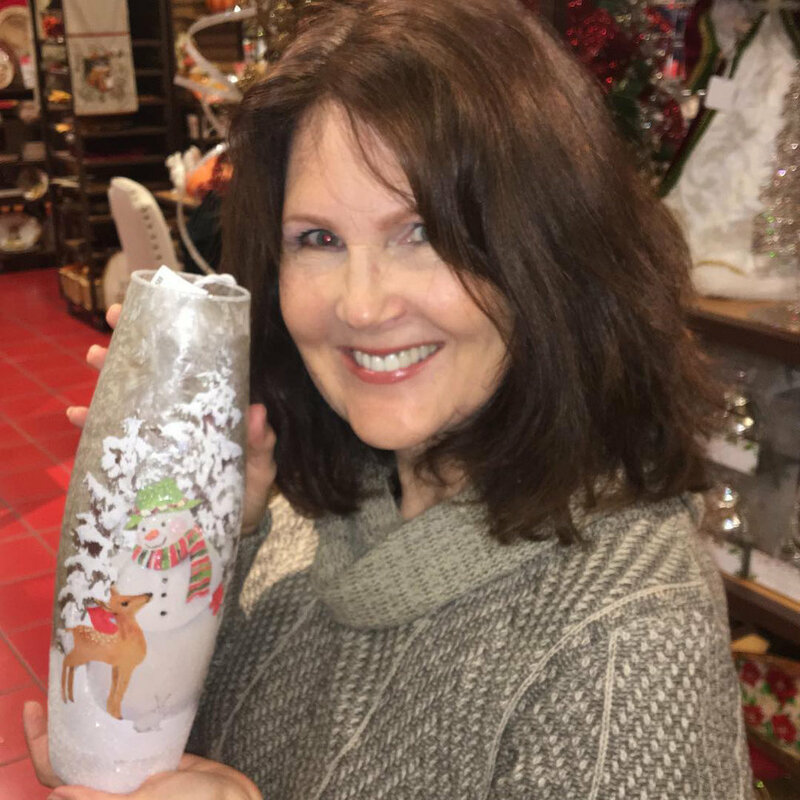 Her products can be found in stores such as Pier 1, Hallmark, Penney's, Macy's, Michaels stores, Joann Fabric and Craft, Home Depot, Lowe's, Hobby Lobby, Bealls, Shopko, Cracker Barrel, Christmas Tree Shops and independent giftware and fabric stores throughout the world . Though her preferred medium of choice is watercolor, she is also proficient in Photoshop for art formatting and digital design. If you are a manufacturer/art director/product development looking for images to license and would like to look at Barb's extensive online portfolio, simply fill out and send the Contact Barb form and you will promptly be sent the user name and password to access the portfolio.